P.W.L PAT UK - PAT Testing P.W.L PAT UK is an ever expanding business based within the Wirral, Merseyside area and provide a professional PAT Testing service without the professional price! Through fast, efficient and cost-effective PAT testing P.W.L PAT can give businesses total peace of mind, knowing they have taken the right steps towards ensuring there electrical equipment is safe for use. Our City & Guilds certified PAT engineers can test upto 25 appliances per hour depending on the conditions, and place of work. The Portable Appliance Testing or PAT Testing process is recognised by the insurance industry, as well as aiding calculation of insurance premiums for public and employee liability cover. 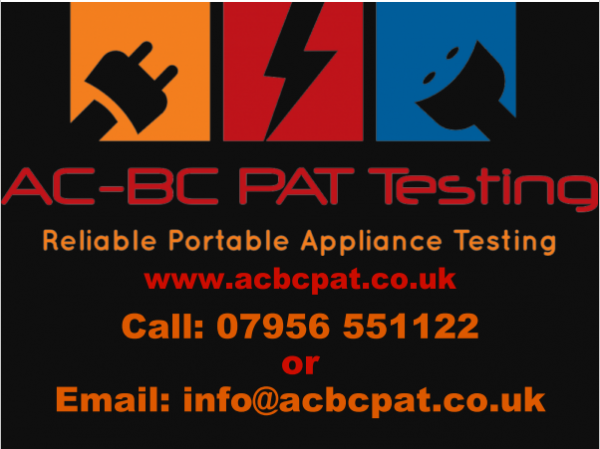 "P.W.L PAT" - Specialists in Portable Appliance Testing | PAT Testing | Electrical Appliance Testing. Working in Partnership with Claughton Fire Protection - All Aspects of Fire Safety | Supply and Service of Fire Extinguishers | Fire Signs | Risk Assesments | Fire Training | Fire Awarness Courses. 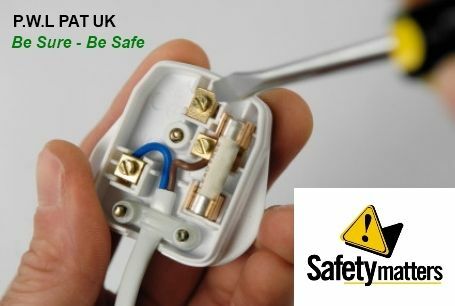 PAT Testing Pricing Guide At P.W.L PAT UK we will test your electrical appliances at a time tailored to suit your requirements. Including Out of Hours service at no extra cost. We cover Wirral, Chester, Liverpool, Manchester and the surounding areas of North West England & Wales. We do however have a minimum charge of £40 for on site work, Which includes a full test report, Certifcate and the first 20 appliances THERE ARE NO HIDDEN EXTRAS!We have Multi Premises DISCOUNTS available, Charity and Hair & Beauty Salon Rates.You are also more than welcome to drop small quantities of items off to be tested, There is NO minimum charge for this service. Please contact us first to arrange a convenient time.We will beat any Genuine like for like quote so please contact us for the best possible deal available to you.